Shannon Shaw’s time has arrived. Best known as the singer and bassist of two Bay Area bands — Oakland's Shannon and the Clams and the campy punk trio Hunx and His Punx — Shaw has finally gone solo with a debut album, called Shannon In Nashville. 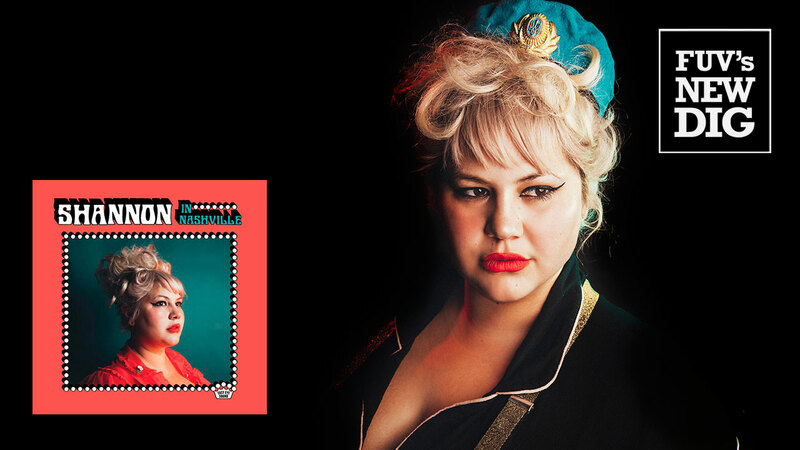 Shaw's biggest spotlight has been on her work with Shannon and the Clams, a band that blends elements of early rock and roll, doo-wop, and girl group harmonies with old school punk sensibilities and an underground, indie attitude. The group's dynamic sound, just as modern as it is retro, is dressed up in a visually kitschy package that would delight director John Waters, adorned with glitter, hairspray, and plenty of mascara. Earlier this year, the decade-old Shannon and the Clams released a fifth album, Onion, produced by Dan Auerbach of the Black Keys and the Arcs. Auerbach, a fan of Shannon and the Clams, recommended them to an Australian concert promoter. Once booked, the band learned that it was Auerbach who helped land them that gig. Shaw messaged Auerbach to thank him, and a friendship was born. That led to Shaw traveling to Nashville, Tennessee in 2016 to join Auerbach and his team of music architects at Auerbach’s Easy Eye Sound studio. The fruits of their labor can be heard in Shannon in Nashville. With Auerbach in her corner, Shaw reinvents herself on Shannon in Nashville, which she discussed a bit when she visited FUV's Studio A for a session in June. Her powerhouse voice is framed in a Phil Spector-like "Wall of Sound," built with heavy echo and reverb, layers of strings, strummed guitars, and a legion of soaring backing voices. The result is a Shannon and the Clams aesthetic with elements of Amy Winehouse, Roy Orbison, and producer Owen Bradley simmering below the surface. All 13 songs on the album are co-written by Shaw and Auerbach, more than half with additional assistance from some extraordinary session players. Among the talented folks contributing to Shannon In Nashville are legendary musicians synonymous with landmark recordings made by artists like Elvis Presley, Willie Nelson, and Dusty Springfield — the album's title is certainly an admiring nod to Dusty in Memphis. Multi-instrumentalist, producer, and songwriter Richard Swift, Auerbach’s friend and bandmate in the Arcs, and a former member of the Shins, was also part of the Shannon in Nashville sessions. Sadly, Swift, who recently worked with Nathaniel Rateliff and the Night Sweats as well, passed away on July 3, 2018, less than a month after Shannon in Nashville was released. Shannon in Nashville announces a new chapter for Shannon Shaw. She's a multi-faceted talent with a titanic voice who deserves the rush of attention and acclaim destined to come her way, thanks to this gritty tour de force debut.